This post is probably not going to live up to its slightly innuendic title (or the magical slightly questionable alternative) but it is one of my top priorities at home. All it takes is for one of the boys to cop a strop and my parenting dynamic is ruined! 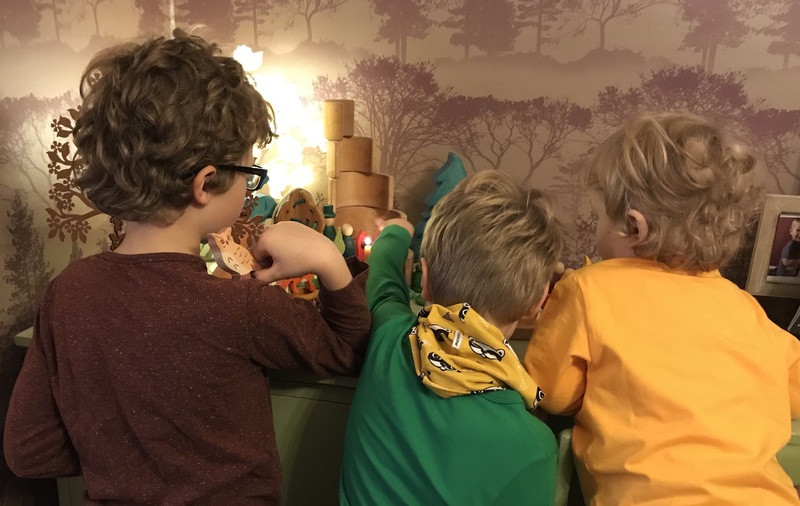 I like finding activities that all 3 of the boys can get involved in – no boy left behind! I particularly love open ended toys because they can be used in so many ways and for ALL the ages. I’m 33 and still have a cheeky tinker with them! Babipur are my go to company for pretty much everything I need relating to the boys. If they don’t stock it, there’s usually a good reason why! Organic clothing, reusable nappies, Slings, eco living goodies and the prettiest toys you will ever see. My Instagram feed wouldn’t look half as beautiful as it does if it wasn’t for me liberating a good portion of their stock over the last 7 years! 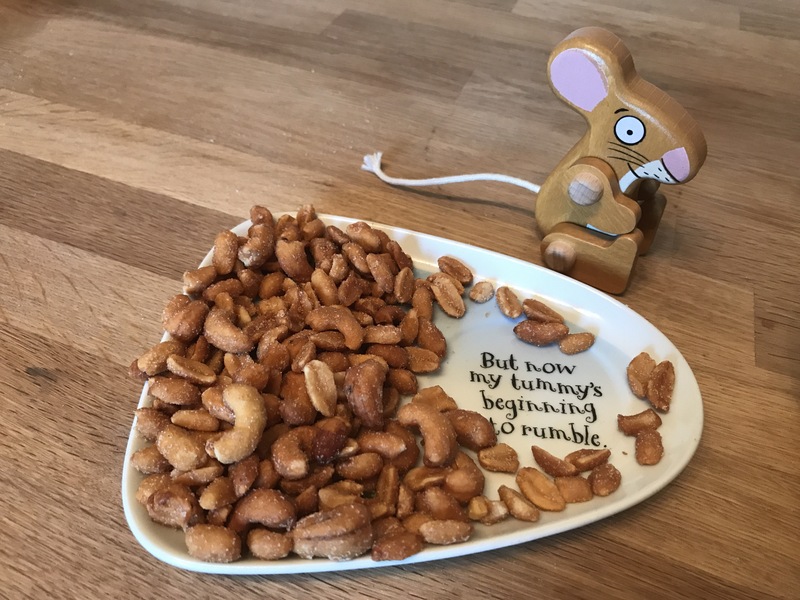 I finally ordered the Gruffalo and Mouse figures last week and I wasn’t disappointed. They are huge, gorgeous and the wee painted details are stunning. The posable limbs, felt ears and string tails make them especially tactile too. Oren was delighted when he got back from school and spied they’d arrived. 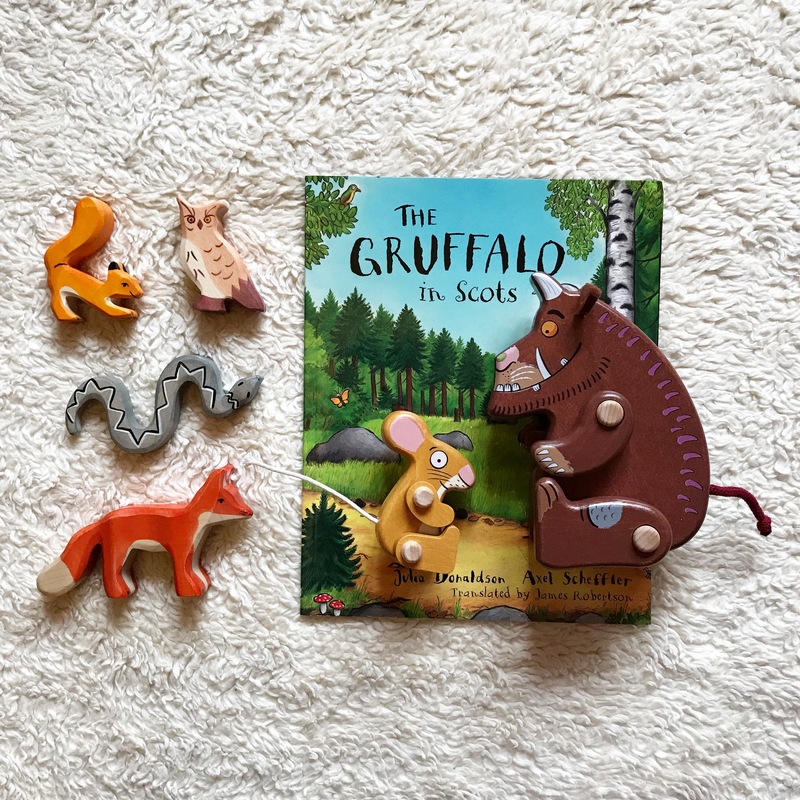 He immediately rooted out our Gruffalo book, the relevant Holztiger figures (that Loki got for his 1st birthday) and set to work setting up a wee scene. Edward played the role of the “squirrel” storyteller and sat with the wee figure on his shoulder. Loki wandered over and sat in the middle of them, pleased to have his brothers home. It all happened organically, with no instruction and they got stuck in straight away. 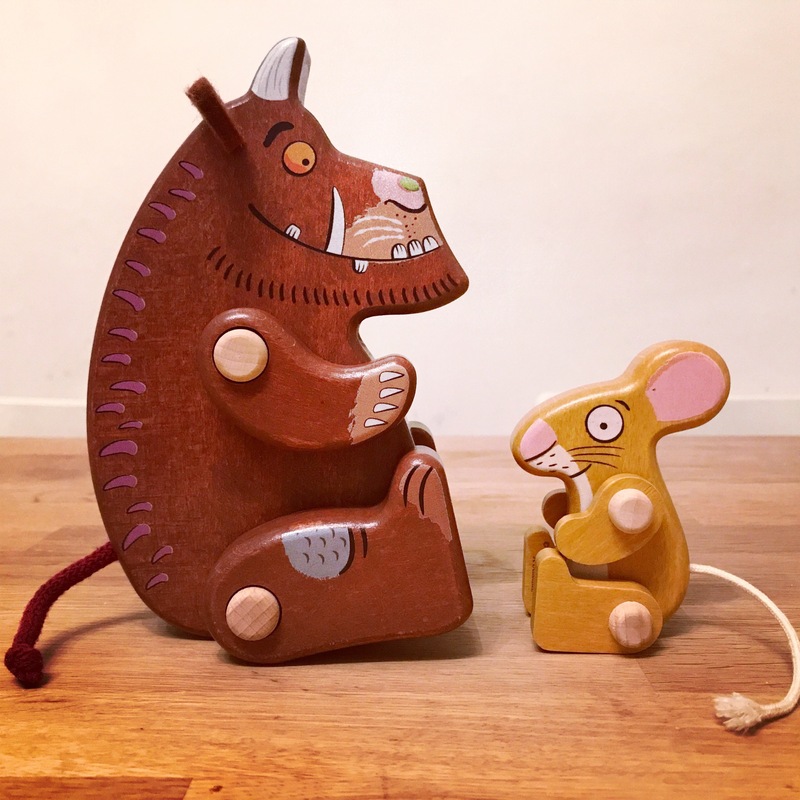 The Gruffalo and Mouse figures are part of a stunning range from Bajo, a Polish company stocked by Babipur and you can find them here. 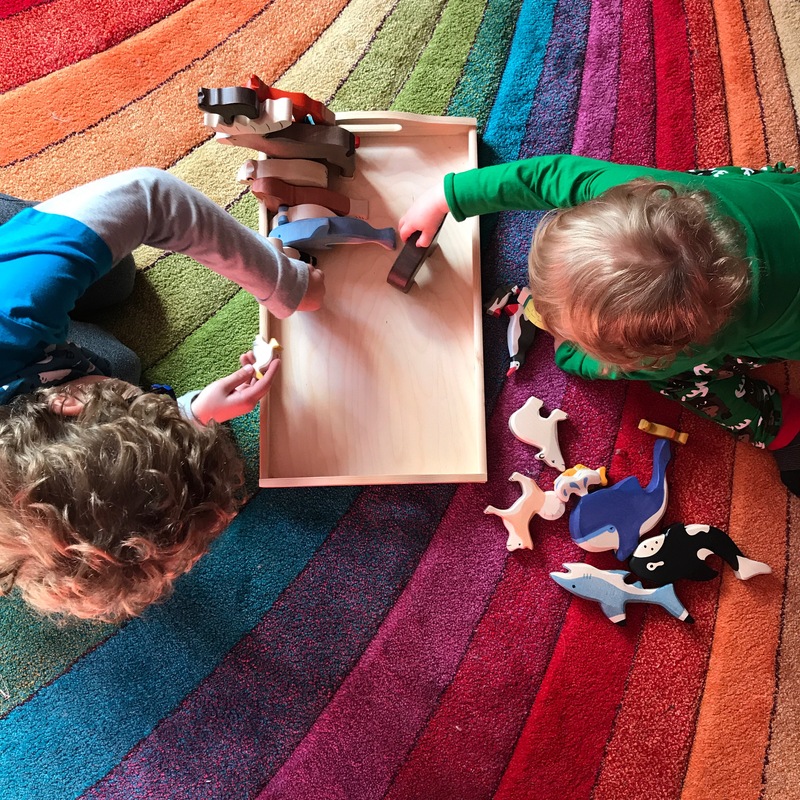 They’re all ethically made and definitely add a little magic into imaginative play. Next up a Gruffalo feast! *a wee note to add – Babipur haven’t asked me to write this, I’m just spreading the love ❤️ BUDDY will get you 10% too! Previous Wee bit about me!